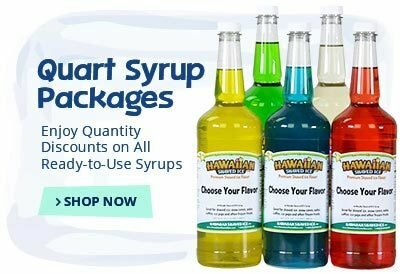 Hawaiian Shaved Ice Syrups are some of the highest quality flavor syrups available, and 1-800-Shaved-Ice carries a large selection for affordable prices that will save your business both time and money. 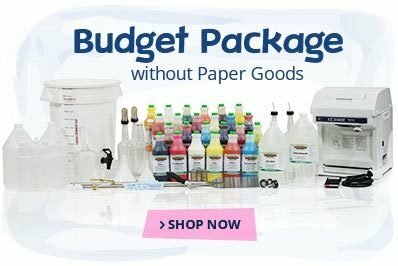 Our convenient ordering process is made even easier with the assistance of a knowledgeable customer service staff, who can help you choose the sizes and flavors that your customers are sure to love. 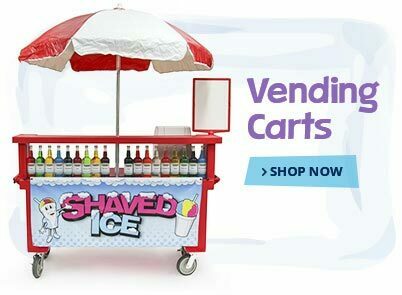 Whether you're in the market for five quarts or 10 gallons of syrup, 1-800-Shaved-Ice can accommodate any size of snow cone stand. 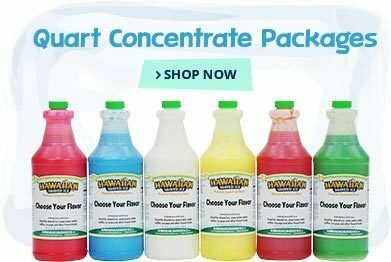 Our selection of Hawaiian Shaved Ice ready-to-use whole sale syrups and flavor concentrates come in the classic, tropical flavors that all snow cone enthusiasts love. 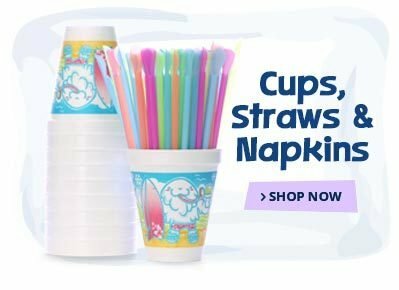 We carry a blue coconut, key lime pie, and wild cherry flavoring, as well as a variety of more unique options - like jalapeno and vanilla cola. Sour spray adds a sour taste on top of a customer's favorite flavor, while sugar free base packs enable you to make sugar free snow cone flavors for customers with dietary restrictions. 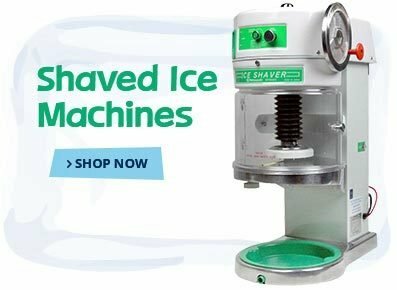 No matter what size or flavor you're in the market for, 1-800-Shaved-Ice has a shaved ice syrup to accommodate your needs.